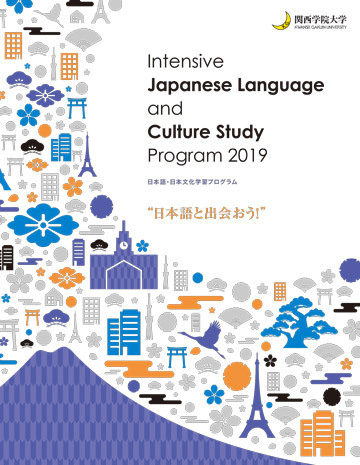 The Center for Japanese Language Education at Kwansei Gakuin University (KGU) welcomes students from our partner institutions to join the Intensive Japanese Language and Culture Study Program every summer and winter. This is a three-week program designed for those who wish to improve their communication skills in Japanese language while increasing their understanding of Japanese culture through a variety of activities. There are three different levels for Japanese language classes, Beginner, Elementary and Intermediate, offering an interactive approach through lessons with KGU students who will support international students in classes. The program will not only focus on language studies. We offer a variety of cultural learning opportunities - in addition to the regular language classes, students will also be able to engage with Japanese culture through participation in Japanese Culture Study classes, traditional arts and other cultural activities including a fieldtrip to a historically rich place like Kyoto. This is a great opportunity for you to add a global experience to your studies. Come and join us to learn more about Japan with people from all over the world!